Unusual 19th Century Chinese Brass Iron. 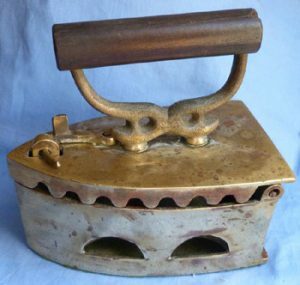 Original and unusual 19th Century Chinese brass smoothing iron. Made from extremely heavy solid brass. Dimensions are 8.5 inches x 5 inches.